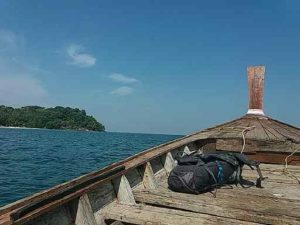 After I´ve travelled to 9 islands in the Andaman Sea, I decided it´s time to start sharing my experience of this island hopping adventure. Because it´s going to be too long for 1 blog article, I´ve decided to split them up in parts. 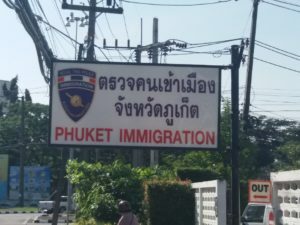 In this first part, you can read about my experience in Phuket Town where I first extended my visa and my time on the island of Koh Lanta, also Ko Lanta if you like. Here I did an island tour, went scuba diving, caught up with hometown friends from the Netherlands and made friends with a lovely local girl. 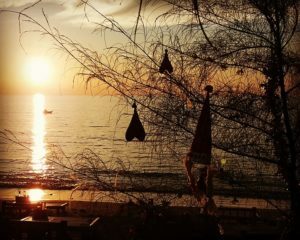 I´m writing this travel blog update on the day I arrive back in Thailand, coming from Langkawi Island in Malaysia. 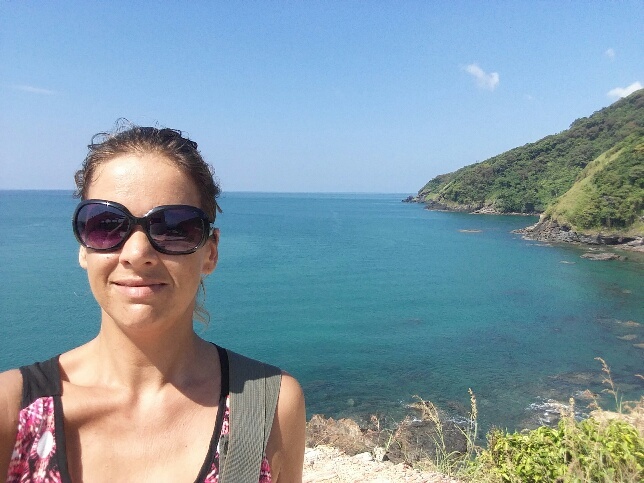 I´m really happy to be back in Thailand, although I think Langkawi island is beautiful and a great place to travel with an astonishing nature, friendly people and many things to do. But there´s something about Thailand. Small things like being able to greet people again with a ´Savadee Kaa´ and eating vegetarian Pad Thai for dinner makes me smile inside! It´s funny how in the past I never felt attracted to Thailand. Even though many people travel to Thailand or maybe it was becáuse of that. I had created this idea in my mind of a country overloaded with bunches of young backpackers. For Asia, I picked other destinations above Thailand, like Philippines, Bali, Sri Lanka and Maldives, if that´s still considered Asia. But now I have to admit, it´s a wonderful country and there are only certain places overloaded with backpackers. There is certainly a place to find for every type of traveller. Now I understand why so many people go here, fall in love with the country and keep coming back! Meet Pipa: my little Thai friend! 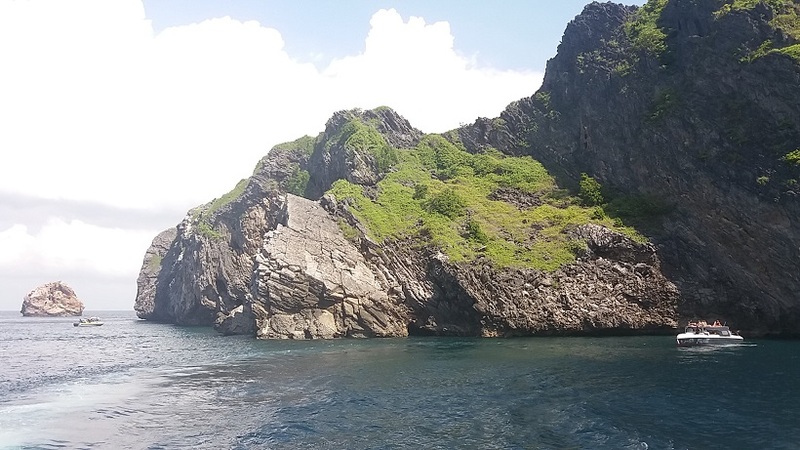 After doing a month of writing and diving in Nai Yang Beach in Phuket, I decided to do some island hopping. I left my dive equipment with Manfred in Nai Yang Beach and went first to Phuket Town for one night. 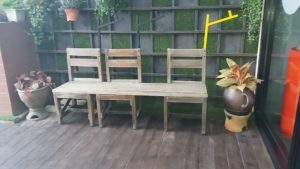 I stayed in the Eco Hostel and really loved this place! 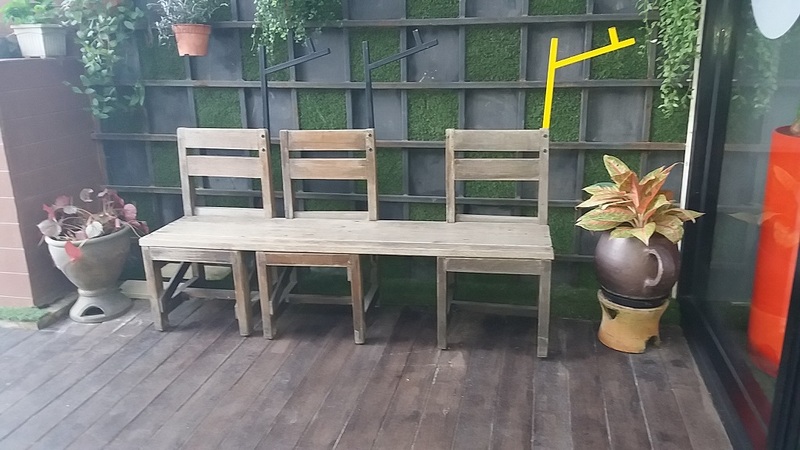 The whole place was decorated with recylced material and I think it´s the perfect place for the conscious traveller looking to stay for a stop in between. The place is located right in front of the bus stop so it´s perfect! I´m glad that I already visited Phuket Town, which you can read more about here, because I didn´t have much time to see things, other then the immigration office! Sometimes I´m a good prepared traveller, other times I´m just an idiot with no clue! And the funny thing is, I didn´t even realise that all other women had all their shoulders and knees covered! The Belgium man told me that Thailand is very conservative and he was not going to let me in to talk to an officer in the way I was dressed: short jeans and a top with no sleeves! I started to beg him because my visa was going to run out the day after and if I needed to go back to my hostel first, I might not make it today. But when the Belgium guy realised that his Thai colleague already had given me a number, he just told me that I was very lucky. But then I started to feel uncomfortable! Now after realising that I was the only one with my arms, shoulders and knees showing, I started to feel very uncomfortable waiting and even more when I finally walked into the official office and I felt all the people were staring at me like I was a tourist with no respect. I do have respect, I just didn´t know ai-ai! But when I finally got a stamp in my passport, a new visa for another month, I felt very relieved and happy! Ready to start my island hopping adventure! The next day I took the ferry to Koh Lanta. I decided to skip the Phi Phi Islands because I got the impression they start to get a bit over touristic. Right now, I´m actually considering of stopping there on my way back, so I can´t give an opinion yet. But for the start I decided to do Koh Lanta first. 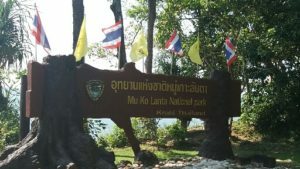 Koh Lanta is much bigger and there are many things to do, while in the meantime you can enjoy some quiet places too. I loved the place I booked, called Bamboo Hut! It was super simple: just a bamboo bungalow with a mattress on the floor, mosquito net, fan and a very basic bathroom with a cold water shower. But it was recently opened so everything was new and very clean. I directly loved the place just because the friendliness of the owner of the place. And I couldn´t really complain about the simplicity since I paid €60,- for 7 nights. The girl was my age or younger, and I just loved the fact the way she was managing everything. Next to running the Bamboo Hut and keeping it clean, she is renting out scooters, organising day tours, running a restaurant next to it and driving her tuk tuk for taxi rides. She did everything! The owner was such a nice girl! One morning, yes she still had some time for that, we had a chat on the terrace of my bungalow. 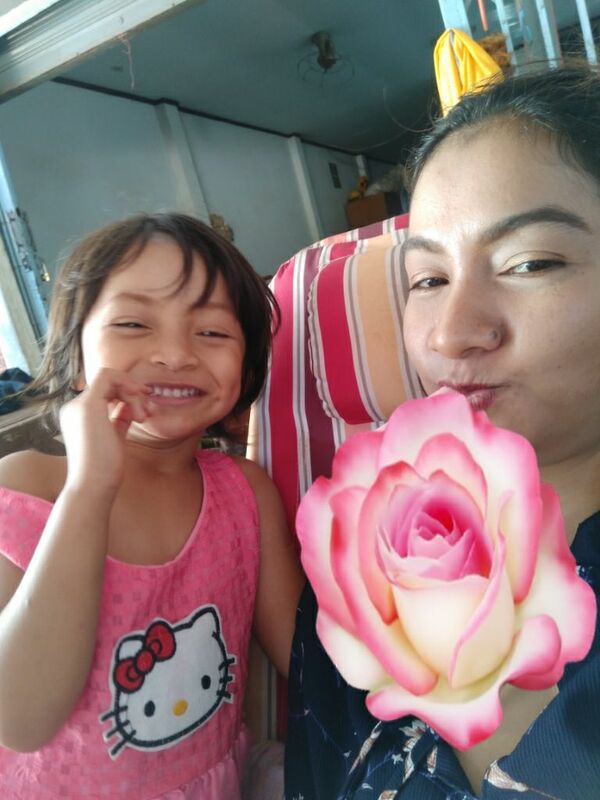 She was wondering why I don´t have a husband and/or children. Flashbacks came to me from travelling Sri Lanka, Bali and the Philippines where I got this question a lot too, everybody always asked me where my company was or why I was travelling alone! Then she told me her story and that her wedding was arranged by her and her husband´s mothers. She told me that in the beginning it was not easy because they didn´t really love each other that much. Being Muslim, their parents had decided it for them, but now they did love each other a lot. They have a beautiful daughter which is one of the cutest girls I ever saw in the world, and they are truly happy now, she told me. I cannot imagine how it must be for us to not have the freedom to choose our own partner in life! But at the same time, I don´t think this girl is less happy then us. We sometimes have too many options in life and I think this is not always a good thing. If you don´t have too any options, you make the best of whatever you are doing or having. Looking at myself in the past, I have changed my mind or didn´t know what to do next, simply because I had too many options to choose from. Looking back now, this created way more suffering than happiness! I enjoyed her company a lot and this is truly one of these places where your arrive as a customer but leave as a friend. We are still in touch over Facebook and she inspires me! You never walk alone on Ko Lanta! 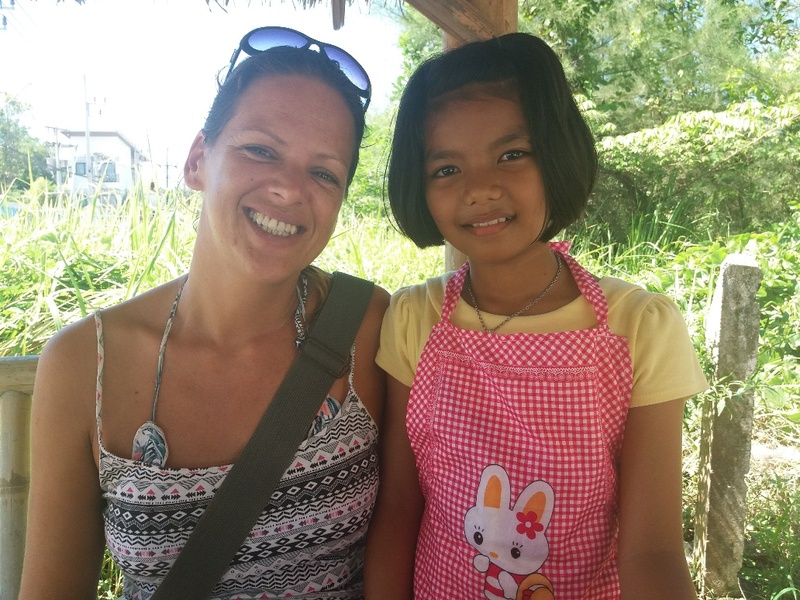 She also helped me to do a day tour, by asking her brother to show me around the island on a price which was half the amount of where the travel agencies over the island were selling it for. And it was an amazing tour! 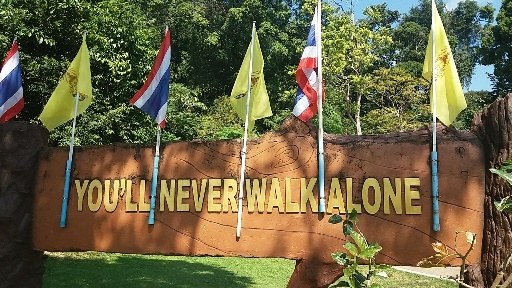 First I went to the Mu Ko Lanta National Park where I saw some monkeys, a beautiful view from the hill with the light house and a very inspiring quote on the backside of the national park sign (see photo), of course remembering my mother who told me that before she passed away. I describe the passing away of my mum in the first chapter of my book, Safety Stop, from which the first chapter is called ´You never walk alone´. It was very accidental that I saw that sign because it was kind of in the bank in between the road and an abyss, so who looks on the backside of that sign? Somehow, I did! Who looks on the back side? Who looks on the back side?? Somehow I did! The daughter of the king came to visit last month! I didn´t want to do the complete hike, because it said it takes about 2 hours and I booked in for a day tour, so we continued our trip. We went to the caves and waterfall of Klong Chak. On the way my driver told me that last month the daughter of the king of Thailand came to visit the island of Koh Lanta. Due to security many roads were blocked for hours. She stayed in the hotel on a hill with an amazing view which we drove past. I was thinking: ´If the daughter of the kind comes here on holiday, it must be one of the most amazing islands!”. Upon arriving I started my hike, first walking alone through some part of the jungle. I soak up energy from the jungle and nature and realised that I wasn´t worried at all like I used to be in the past. In the Philippines I got a bit anxious when somebody asked me why I was walking all by myself in the jungle and that there can be snakes. This was at the twin lakes, not far from Dumaguete. 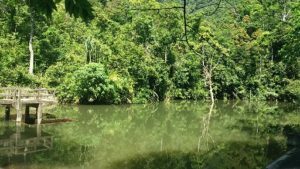 And in Australia, in the rain forest around Cairns, I was suddenly freaking out about crocodiles when I saw a river. But this time I was just relaxed! I think after all these experiences, I have started to trust! Not much later I met many other travellers doing the same route as me. 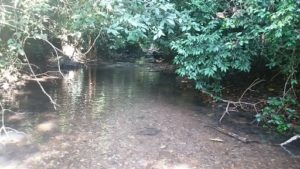 Pretty soon we arrived at a point were the path was just not do-able anymore: too much jungle and too slippery so we went into the river. Travellers already coming back from the waterfall told us that it was the only way. To be sure, and with another flashback of Sri Lanka, I checked that there were no leeches in the water. But other travellers were fine and I reminded myself to just trust again and my smelly sandals could use a wash anyway! The track continued for about 20 minutes through the river and I must say that in the end the hike was actually more beautiful then the whole waterfall since it´s was not that impressive but all together I enjoyed this stop the most. The hike was very nice and going through the river is pretty refreshing! My sandals looked like new afterwards! The hiking trail to Khlong Chak, take a pair of flip flops with you! 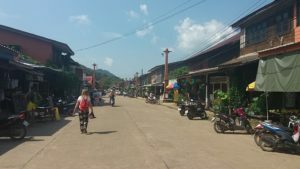 We then went to Ko Lanta old town were I had a walk through the sleeping village and enjoyed a fresh fruit shake at a place with such a lovely people. The man taught me some words in Thai and came with an English magazine with some more basic Thai words and I gratefully took a picture from the page to study more ´Thai´ later on. The last stop we did was in the sea gypsy village and this is a very basic place where the fishermen leave to be at the sea for a few days in a row while their wives and children await them in the village. All together it was a nice day and it left me with a good overall impression of the island of ´Koh Lanta´. Another ´coincidence´ in regards to ´Safety Stop´. After my day tour I went to Koh Lanta Saladan Pier to confirm my scuba diving for the next day. When I was done chatting and filling out all the paperwork I left the dive center but within 5 minutes it started to rain like a shower! So I quickly escaped from it by entering the first restaurant I saw. 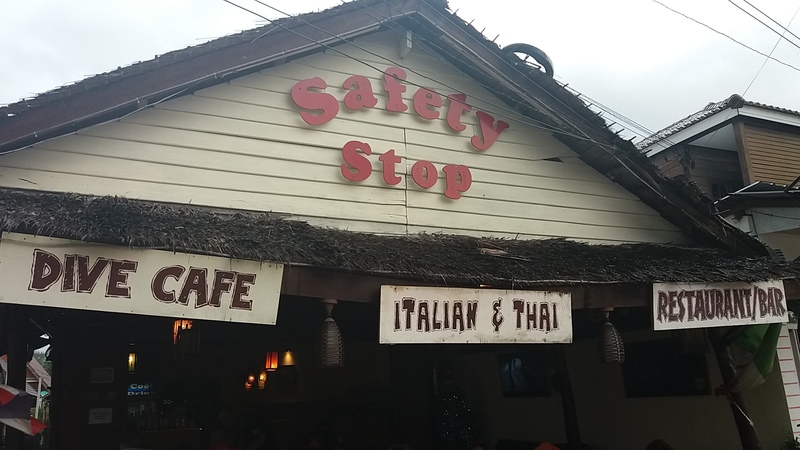 I ordered a cappuccino when I realised that the name of the café was called… Safety Stop! Again such a coincidence! You never walk alone is what my mum told me and it´s also the first chapter of my book! But the name of my book is going to be ´Safety Stop´ and I also started this Safety Stop Facebook page like one day before! I don´t believe in coincidence by the way, although I do call it that in this article. 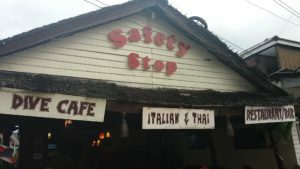 I escaped for the rain in this place called Safety Stop! 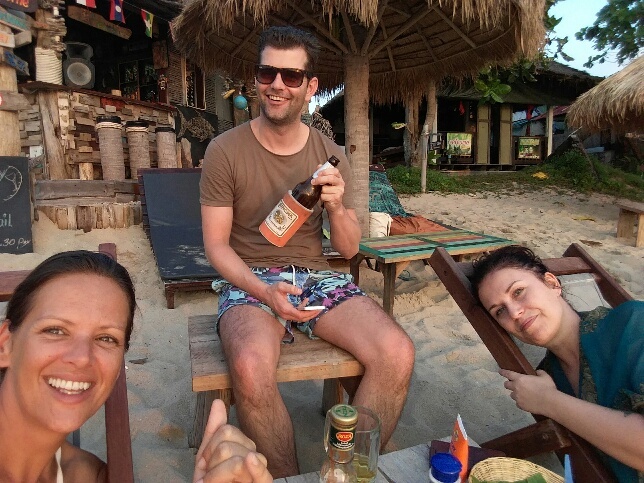 Meeting my friends from the Netherlands on Ko Lanta! The next day I met with one of my best friends from the Netherlands and her boyfriend, Nicolle and Laurens. It was so much fun to see them again in this part of the world but the first night we left it to a quiet dinner although we did lots of chatting. 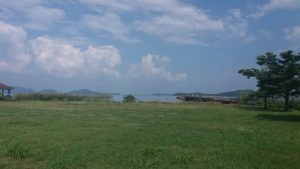 I went home early because the next day I was going to do a triple tank dive day at Koh Haa. The scuba diving was great here! I made a good deal with the owner in exchange for writing an article about Scuba Diving from Koh Lanta. 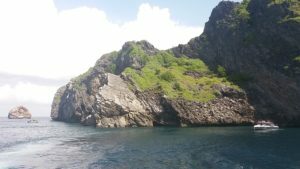 Overall there were caves, groupers, morays, anemone fish (clownsfish), tuna, barracuda, shrimp, crabs, lobsters and nudibranchs. Unfortunately we missed the tigertail seahorse which usually is there, but wasn´t home today! And one amazing thing to see was the skeleton of a whale at about 33 metres of depth on the dive site called Koh Haa Lagoon. 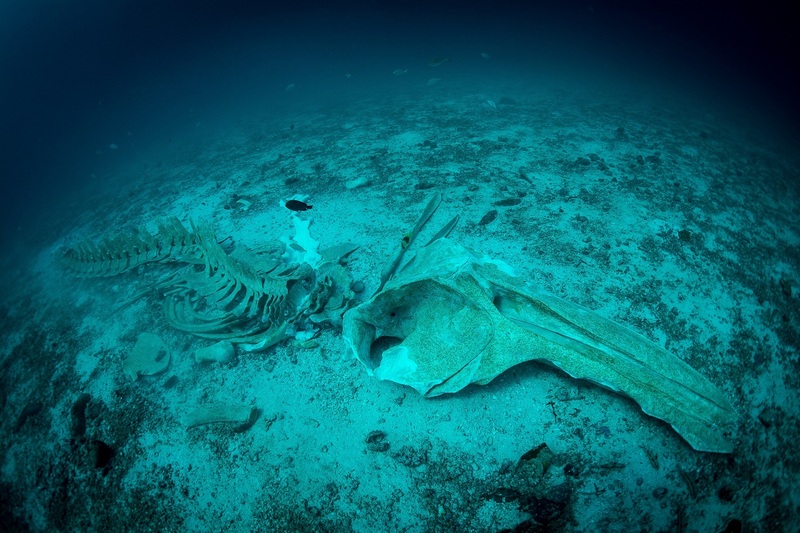 You can read the full article about diving in Koh Haa here. The next days I did some organising, catch up writing and translating and preparing my next stop to Koh Mook. But also I had some more dinners with Nicolle and Laurens and on my last day we had a very relaxing afternoon at their resort, drinking cocktails, enjoying some food and an amazing sunset. I had a great week on Koh Lanta!! I leave it with this, because my update will be too long. Stay tuned for part 2, it will include island hopping to the amazing ´Cast Away´- island of Koh Mook (click to read my article about it), scuba diving on Ko Lipe and celebrating new years evening on Koh Lipe and some bloopers on Langkawi Island in Malaysia! Recently I have become affiliate partners with booking.com and 12Go.Asia. If you like to support Splashpacker you can book through the links provided in my posts. Booking.com offers accommodations for mostly the same price as booked on the spot and 12Go.Asia can help you organise you trip to the places mentioned in my articles, they can book your boat, bus, train, and flight ticket for you. Safe travels and happy bubbles!